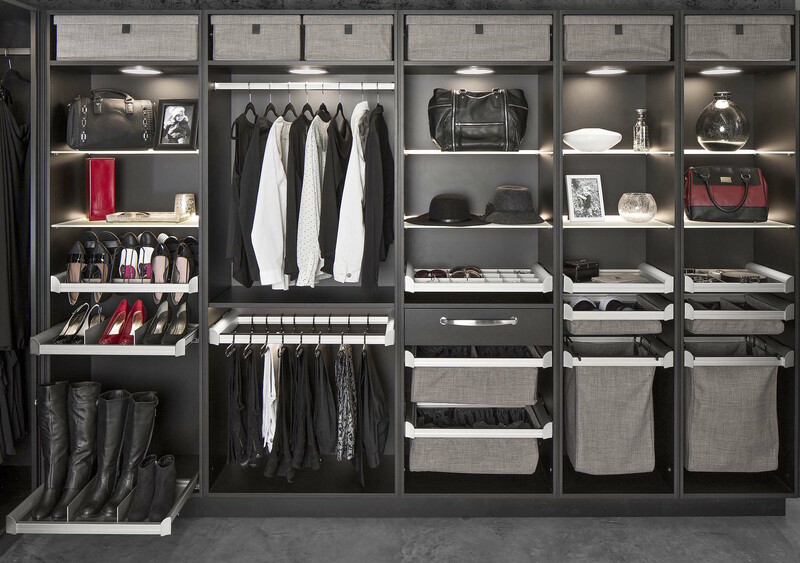 ARCHDALE, N.C. - Hafele America's modular, custom closet organizing system ENGAGE is designed to provide an easy-to-use and install solution for customers looking for a variety of closet components. 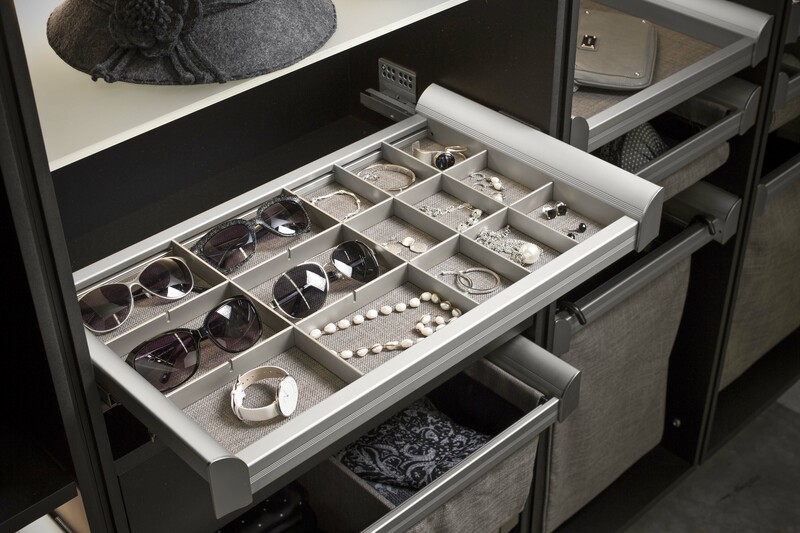 The system features aluminum frames and dividers in multiple finishes on soft-close, under-mounted slides that fully extend allowing reach to the back of the closet. Accessories include drawers, closet rods and shelves, a wide array of hampers, dividers, shoe organizers, folding stations and storage boxes. All components in the ENGAGE collection are available in standard 18”, 24” and 30” widths with 36” components available as a special order option. Drawers are available in both regular and deep depths with matching dividers. Drawer face adapters can be added to conceal frames and add personality. 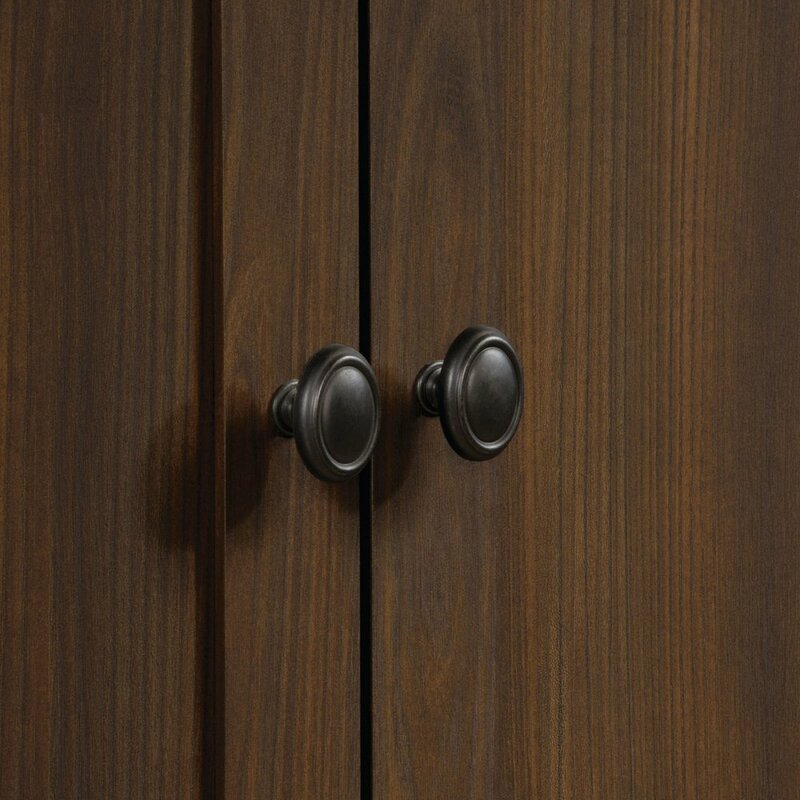 Locks can be added to secure jewelry and other valuables and finishes include nickel matte frames with slate fabric and oil-rubbed bronze with beach fabric.